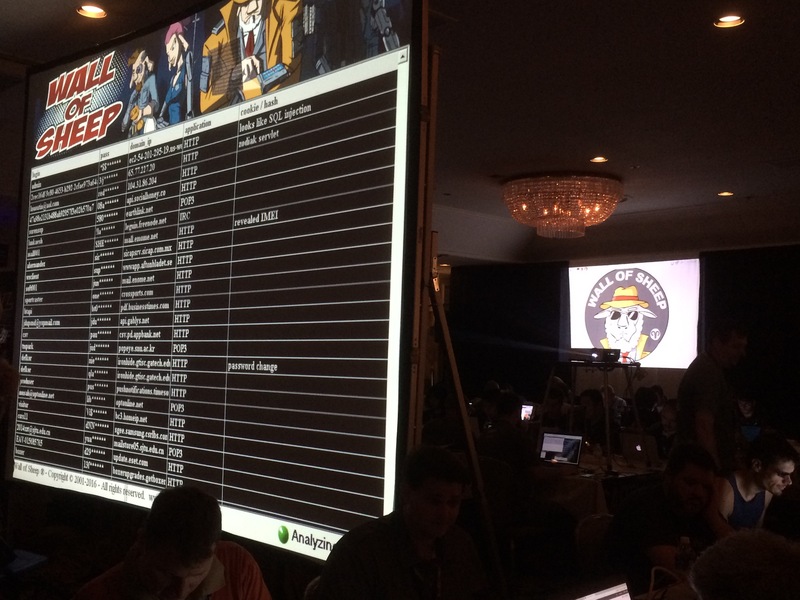 The two names “Blackhat” & “Defcon” rings the bell as the scariest hacker conference for people around the world. People from various disciplines in security with their best researches are invited to speak at the event with room full of security savy folks. Its often said that these two conferences receive 1000’s of applicants and its one of the hardest job to identify the best. I have been attending these events for a while and few did ask me about the difference between the world’s most scary conferences. Hence I decided put together a small post about Defcon and Blackhat hoping to help new attendees to make a decision. In short Blackhat & Defcon are two different security conferences that takes place in Las Vegas each year where security experts from around the world present their best work , meet their fellow security folks, party and hack all night, learn something new and take the pride of being one of attend at the coolest conference. Basically a hackers paradise ! 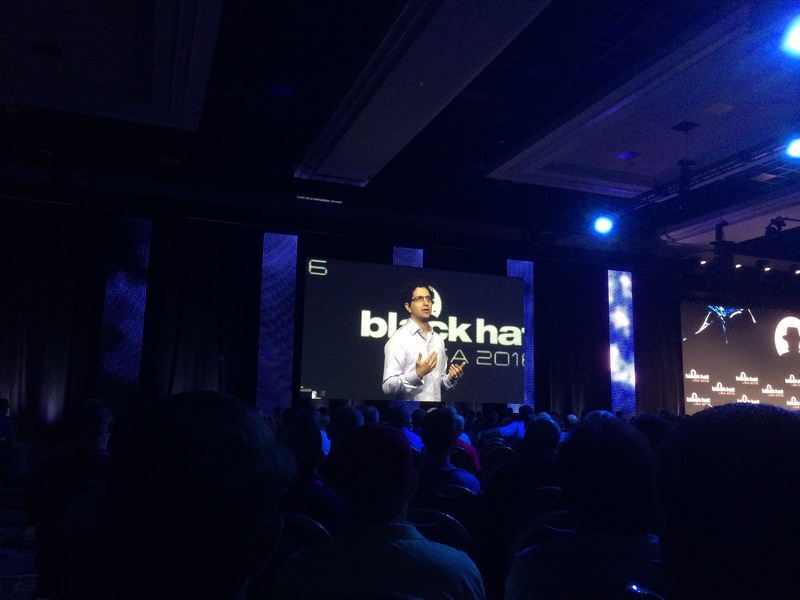 Blackhat : This is more of a corporate style event where you will see presenters in business casual clothes,lot of expensive security trainings takes place during the week, briefings ( security talks) , lot of vendor display and parties(all night parties) takes place at the event. Typically first 2- 4 days will have trainings ( you need to preregister for this), then Blackhat briefings takes place. ( Blackhat briefings are actual security talks that takes place for last 2 days of Blackhat event) In parallel to briefings you will also see vendors and vendor talks with lots of free goodies in exchange for your contact information( Expect a lot of sales emails). You will also get an opportunity to meet a lot of cool folks/network at the Blackhat night parties which are usually very cool. If you get a chance to get sponsored for briefings make sure to attend the vendor booths and get tokens /passes to the vendor parties. The parties are worth it with free alcohol and may be food. It can be fun with many ways. Great place to meet a lot of great security folks as well. Typically the cost for trainings are very expensive. ( All Security trainings are expensive ). Briefings alone starts with approx. 1800+ early and it increases over time upto approx. 2500$. Students & professors have some discount if registered early. If you are a presenter you get the ticket free. If you get a vendor to sponser then it may turn out free for you. If you are member of OWASP , EFF or any such you may get some discount ( typically 200$ on briefings). 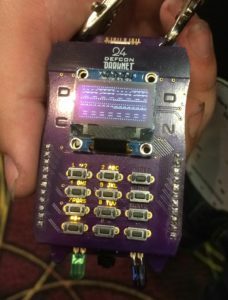 You get a option to buy Defcon badge ( +$240)when registering for Blackhat and its highly recommended. Downside : Expensive if your company doesn’t pay. During Blackhat 2016 two of the good tracks were full on the second day and even after paying 2000 + bucks lots of attendees were unhappy for this. I happen to witness this myself because I was one of them who couldn’t attend the talk. Overall a fantastic event with lot of things happening at this event. Focus of what you want to do and plan it accordingly in advance which will make this event worth the time and money. Defcon : This is the real hacker party. Costs only $240 for all 4 days. 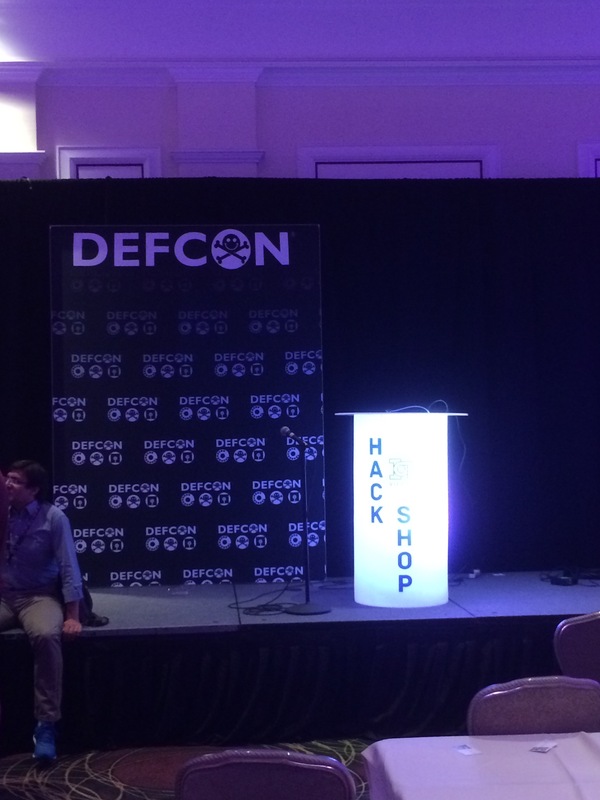 The last day of Blackhat briefings and 1st day of Defcon usually overlaps. If you happen to come only for Defcon get ready to stand in a long queue for the badge and wait for hours. This has been a crazy tradition and people enjoy to get the cool hacking badge which is a suspense till you receive it. With security getting noticed the number of attendees have increased exponentially and expect lines everywhere. Remove all your corporate style dresses and come with full black tshirt or whatever you like, like a hippie , body full of lights, with hackable devices, with a awesome mohawk or anything you wish. Keep in mind that you are entering the hacker warzone where the best crazies are around and want to hack anything and everything . AND YES ITS LEGAL HERE. 🙂 Try not to connect to Defcon network unless you have a laptop which is open for experiments. You have awesome talks, demos, biohacks, Capture the flag, hack cars, lock pick village, experiment soldering and create cool PCB devices which talks and more. Dream it and you make it. People are there to help you to acheive it. You will find geeky, nerdy and cool folks all over. Its an awesome crowd with hackers, the best pool of brilliant minds in the world. There is so much energy here ( minus the crowd) that you will enjoy it. As a first timer or for a college student this can be a fun event. So much happens here at the same time, so pick your battle of what you want to do. So if you have money or sponsor go for both. If you want great corporate networking polished event – Blackhat it is. 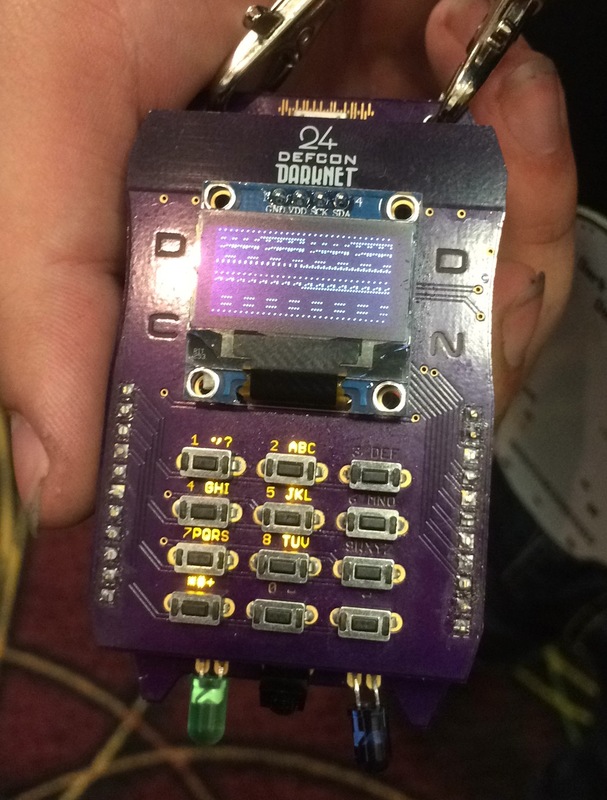 If you dont care about any of networking and want to enjoy the event when no sponsor is involved go attend Defcon ! You cant go wrong ! Either case meet loads of people, learn cool hacks and have fun ! All of us can make world an awesome place.